Terry and William came to move me out of my apartment, which was located off of Comm Ave in Kenmore Sq (BU Property). They were efficient and very friendly. They wrapped up the big items – couch, desk, entertainment unit, bed, etc and brought it down 2 different elevators and around the block. Needless to say, they did an amazing job with the move out part. When I found a place in Bloomington, Mike were very quick to set up a time to meet me to move in my belongings. Terry and another man came, and quickly unloaded everything in my apartment, set up my bed and couch. After they departed, Mike sent me a text that he mistakenly over charged me, and that I would get some money back. I didn’t even realize that he made a mistake, and so I really appreciated his honesty and awesomeness. I would recommend Fast Lines Moving Company Waltham MA and Benny’s Moving Company to anyone living in Boston and I would certainly use them again. Moving is always a stressful event, and as such, can often lead to simple mistakes that end up making the entire process more difficult. 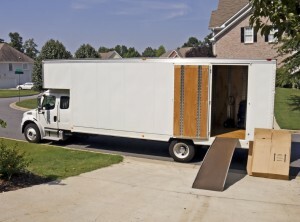 Below, we’ll look at five common mistakes that you should avoid while moving your home or office local or long distance. 1. Last minute and not planning before the move. Use strong boxes for heavy items and don’t stuff boxes, as they may tear. It is better if you mark the boxes with their content to prevent any confusion while unpacking and unloading. In this way, not only will you get an accurate estimate in written form, but you will also avoid paying more after the move. An in-house visit also gives an idea to the movers regarding the hallways and doors through which items have to be moved out so that moving schedules can be planned out in advance for your next Piano Moving , Interstate Moving, Local Moving or Office Moving.